Watch this short, touching video, and then learn how to be "preferentially happy" like an Elephant. Ok - so what's the deal with Elephants? We all know they are strong when they need to be. Caring as well. Family is their priority and also, it seems, is happiness. If you can't see it when they are having a good day, you can certainly see they value happiness on their bad days. They mourn the loss of loved ones as hard as we do. They very clearly get sad and depressed when they lose a mother or a baby. 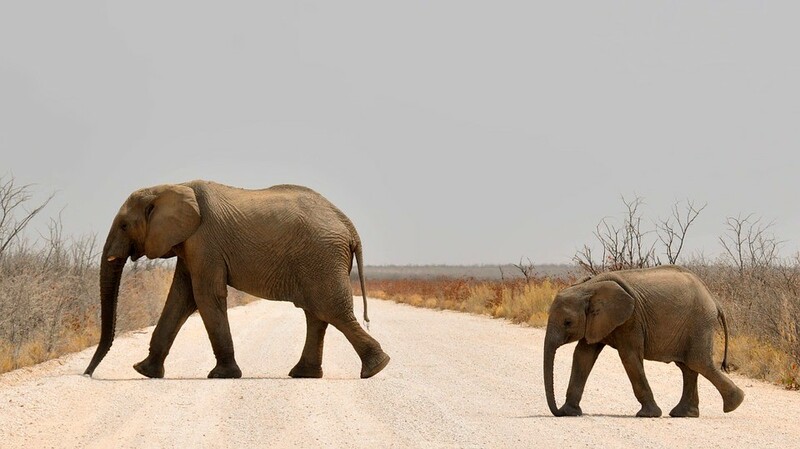 Since there is nothing without an opposite, we then know that Elephants know extreme happiness simply because we know how extremely unhappy they get at times. So what is "preferentially happy?" Just something I made up, actually. But what it means to me is that given the choice, Elephants seem to choose whatever it takes to be and stay happy. They don't seem to look for trouble or reason to be unhappy. And they smile a lot - especially the babies. Today you can choose to be happy by simply putting no pressure on yourself to NOT feel bad. The road to happiness is straightened out and shortened to the degree that you release the resistance in your way. "I've got to get happy...let me try this." "Darn! I've got to get happy...let me try this." "Dang it! I've got to get happy...let me try this." Stop trying. Focus on what's making you unhappy will keep you perpetually "there." Think like a baby Elephant. They are 100% in the moment where no worry can take hold. Focused on a sapling branch, a blade of grass, a sibling, the sky, a water hole, they simply live. And they live WELL in every moment that they can. I don't think baby Elephants worry about when they will feel better after losing their mothers. They just go up in increments as long as there is any love energy around them at all. No hurry. No rush. And that's what gets them there faster! Be a baby Elephant today.